There needs to be a good combination of functionality and good design when selecting the perfect office furniture. Once you dive deeper into research, you will notice what makes us different is the quality of the materials we use. We choose solid Canadian wood for the ultimate sturdy build for our Canadian furniture pieces! These are the kind of furniture pieces that will last and can be past down for generations! A contemporary design, the Brooklyn Desk Set has a minimal design aesthetic with fine workmanship. The straight line design is a classic take on a contemporary piece. We offer two types of desks to choose from in this line. The writing desk, a minimalist dream with storage and the executive desk, providing extra storage. This set also provides the options of a filing cabinet and two different bookcases to pick from. The Georgetown desk set provides a sophisticated style to the space with its bold legs and design accents. A beautiful furniture piece that tells a story and such a statement piece. 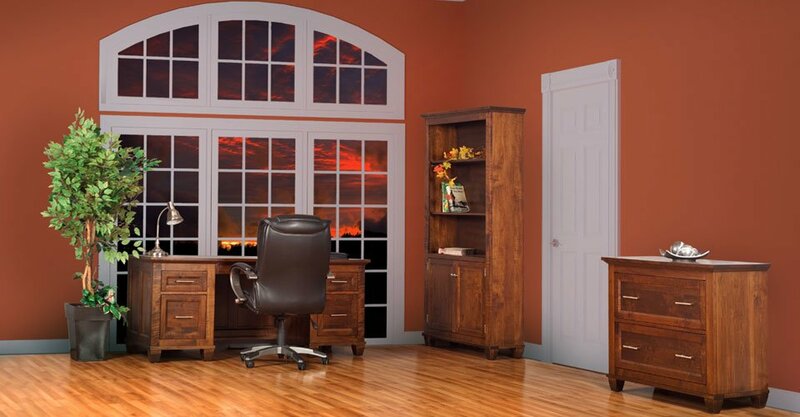 This set can be completed by purchasing the executive desk or computer desk, bookcases and a filing cabinet. To make any of our furniture sets custom, choose from your choice of wood, stain and hardware! 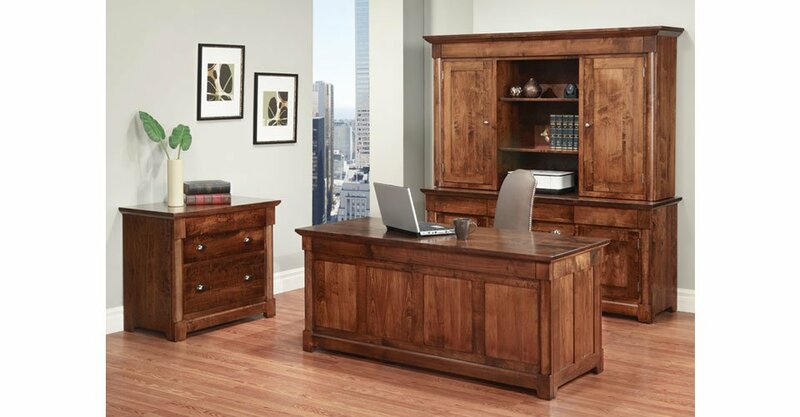 A timeless and sturdy office, the Hudson Valley Desk Set has a classic vintage flair. It’s bold yet simply built and its design elements make it for a very popular choice that will last for generations! 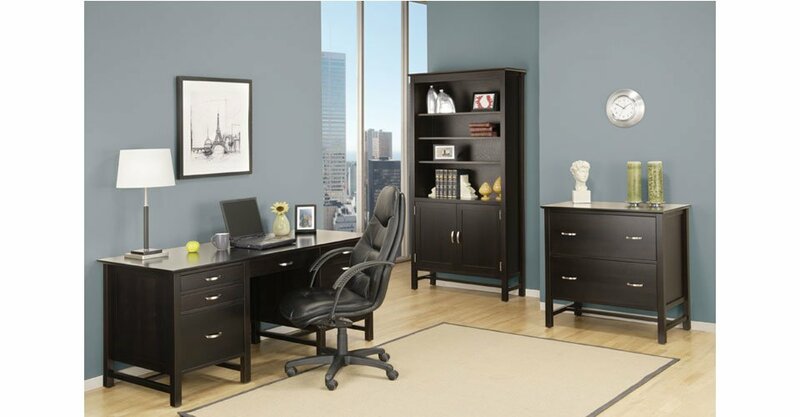 This set provides many furniture pieces to choose from such as an executive desk, executive desk with hutch, filing cabinet, bookcases with or without doors and library cabinet. Sophisticated and timeless, the Algonquin desk set has a vintage renaissance flair to it. Featuring bold legs and solid wood, its simple design details makes this a timeless piece to enjoy for many years! 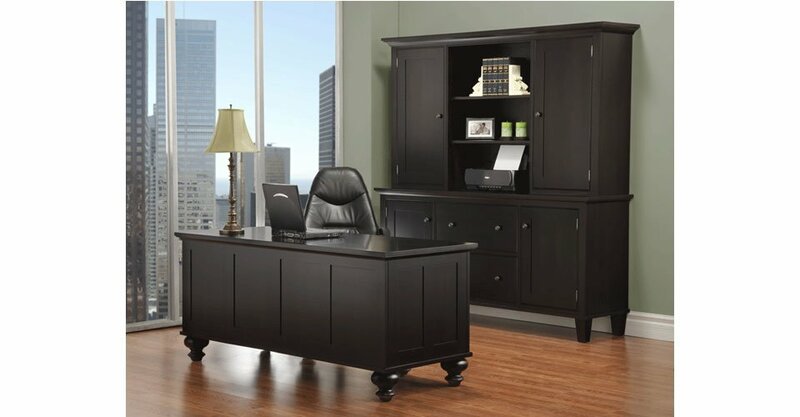 This set can be completed by purchasing the executive desk, the two door bookcase and filing cabinet. We meet many creative minds that have a specific vision for their office space! We enjoy building custom projects, take a look at our work here. We’ve done a variety of custom work, we’ve built beautiful custom kitchens to bathroom vanities, shelves, laundry rooms and more! Connect with us on facebook and take a look at our latest custom projects for more inspiration here! 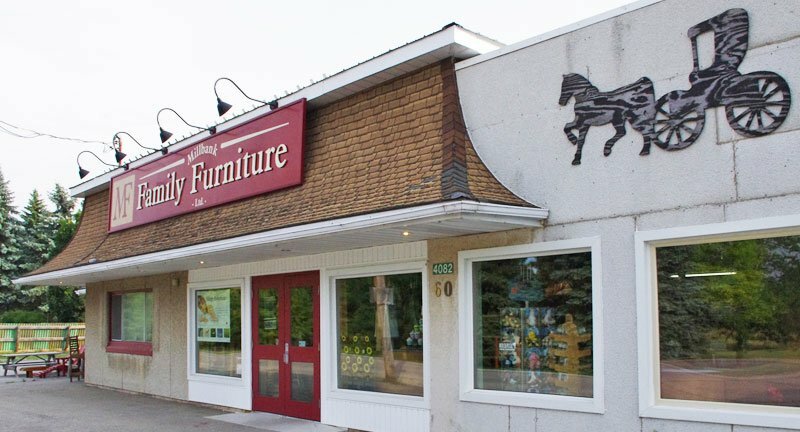 Most of our furniture pieces can be found on our website or in our beautiful showroom located in Millbank, Ontario. We invite you to our charming little town to visit our showroom and take a look at all our furniture selection! This way you can experience the furniture and how it looks in person!